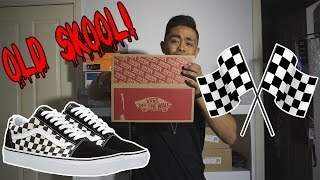 If you’re into skateboarding, then it’s likely that you’re familiar with Vans sneakers. Renowned for the durability and grip of their shoes, the brand recently introduced the Vans Primary Check Old Skool shoes. These low tops are the latest in the line of classic skate shoes introduced by Vans. They are also the first to bear the unique side-stripe. Suitable for both men and women, the Vans Primary Check Old Skool are multipurpose and will complement almost any outfit. They are extremely comfortable and do not require any breaking in. In fact, you can wear them immediately without the fear of blistering your feet. 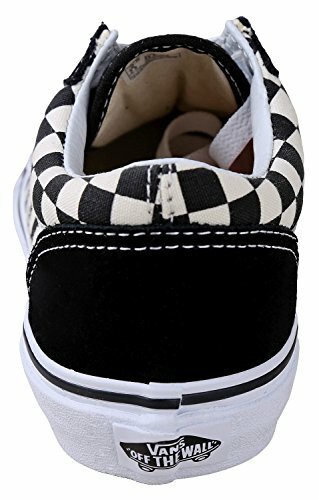 Carrying the checkerboard print (a staple of Vans), these sneakers are made out of high-quality suede and will last you a long time. The canvas uppers, along with the re-enforced toe caps, also add to their durability. You’ll also enjoy the support and flexibility offered by their padded collars. The rubber waffle outsole, another staple of Vans shoes, provides you with extra grip as well. They don’t have arch support but even without that, these are some of the best shoes on the market. 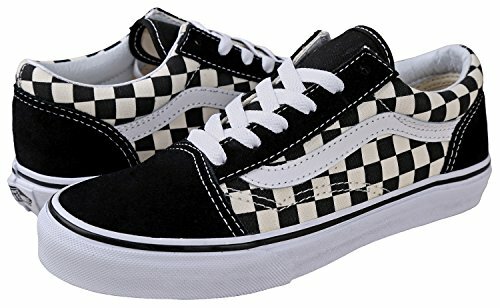 With their sleek and stylish appearance, the Vans Primary Check Old Skool shoes can easily become your go-to choice for footwear. What’s more is that you can get them at an extremely reasonable price. On the whole, these shoes carry the right amount of style and simplicity associated with skate wear. 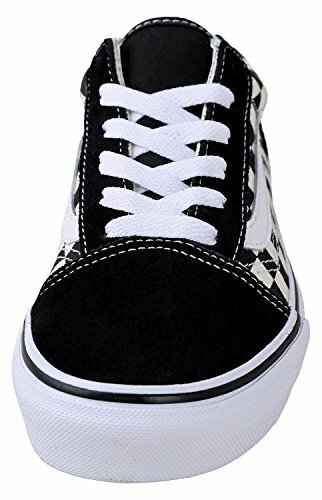 The classic silhouette will also appeal greatly to loyal fans of the brand and you get them in black/white, racing red/white, black/true white, and white/black combinations. 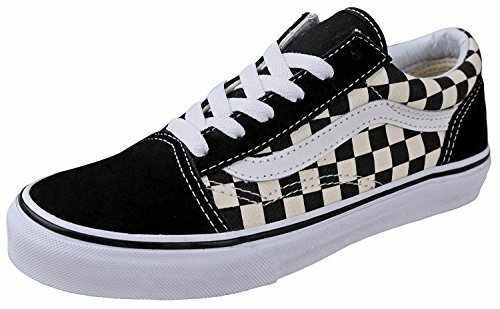 Even if you’re not familiar with Vans shoes and are simply looking to buy sneakers for everyday use, then rest assured, the Vans Primary Check Old Skool sneakers are the best shoes for the job.